A tooth which is very decayed or damaged, or loose because of gum disease, may have to be extracted (taken out of your mouth). Teeth are sometimes taken out from children's mouths to help other teeth which are crowded to grow straight, (usually on the advice of an orthodontist). In some cases, for children or nervous patients, or where a tooth might prove difficult to remove, sedation (something to make you relaxed) with a local anaesthetic may be used. On rare occasions a general anaesthetic may be considered. If a general anaesthetic is needed, you will have to go to a hospital or a specialist treatment centre (you are likely to be able to go home the same day, but not all patients are able to do so). 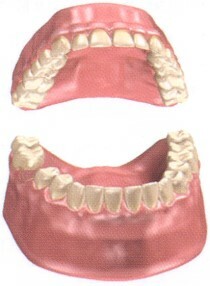 you might also discuss other treatment you might need - for example, whether you may require a denture. You may hear some noise and feel some pressure as the tooth is being eased out - but you should not feel pain. Sometimes stitches are put into the gum to minimise any post extraction bleeding, to make the area more comfortable and help it heal quickly.